I've been kinda neglecting my digital studies but I'm trying to get the portfolio done as quick as possible... aaaand this weekend I kinda got addicted to Dragon Age 2 for a bit ( shaaame on me D: ) but I'm putting it on hold now so I can do my art. 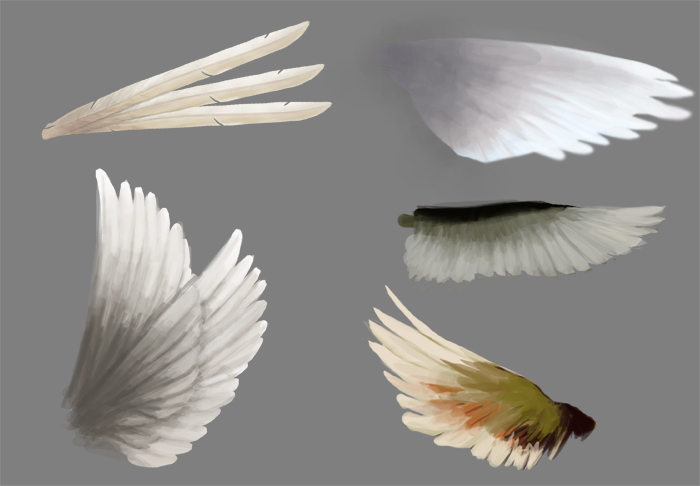 The next piece will probably be an angel like picture so I'm practising wings and feathers. These are mostly studies from birds but one or two were referenced from drawings made by Johannes Voß.